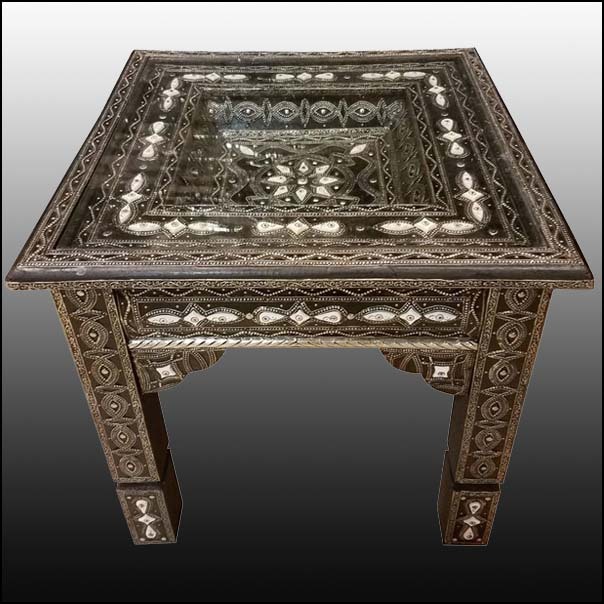 One of the best Moroccan side tables to ever make it to our warehouse. New square style inlaid with metal and camel bone. This table measures approximately 21? from side to side and 20? in height. Weighs about 25 lbs. Very intricate as you can see in the pictures. Rare find. Please email us if you have any questions, or for a shipping quote.